Unlimited cocktails with our social brunch! Want to get the brunch party going? Every Saturday & Sunday at 11 am it's happy hour. We offer unlimited mimosas and watermelon sangria with our social brunch for one hour. MAKE YOUR OWN PROSECCO COCKTAILS AT THE TABLE. 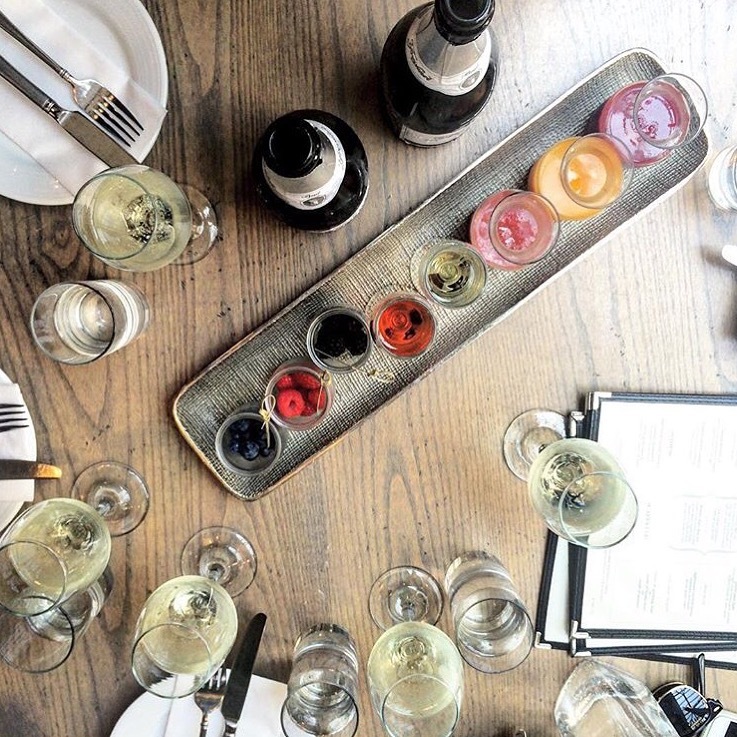 Brunch gets fun with our Craft Your Own Prosecco Bar. We'll bring a tray to the table with a variety of seasonal fresh fruit purees, liqueurs and garnishes. Try different combinations and craft your own bubbly prosecco cocktails. Made to share. 25 per tray. It's not a real brunch unless you have the Sotto 13 Bomboloni on the table. Kick off your brunch experience with these unreal, fresh fried donut holes stuffed with nutella cream. They pair perfectly with any of the brunch cocktails that will be flowing. They pair perfectly with basically anything you can think of. Get the group together for an amazing brunch experience at Sotto 13. Our unique social brunch creates an experience for your guests that will leave them impressed. The atmosphere is perfect for a brunch party. The natural light from our exceptional dining room skylight will be flowing and so will the brunch cocktails. Sotto 13 is the perfect venue to celebrate bridal showers, baby showers, engagement parties, birthday parties, reunions, or a simple get together with friends. To inquire with us about group events, please fill out our inquiry form and we will be happy to send you our group dining menus, packages and check availability for your preferred date.